NASA will continue testing the James Webb Space Telescope in January, after a small error that occurred at the end of 2016 with the telescope when it didn’t have the expected reaction during a vibrational test. The James Webb Space Telescope, once it is completed, will become the most powerful space telescope ever built. Before using it to take a look at distant galaxies, it must go through several tests. However, NASA said that it is close to zeroing in on the source of the problem. 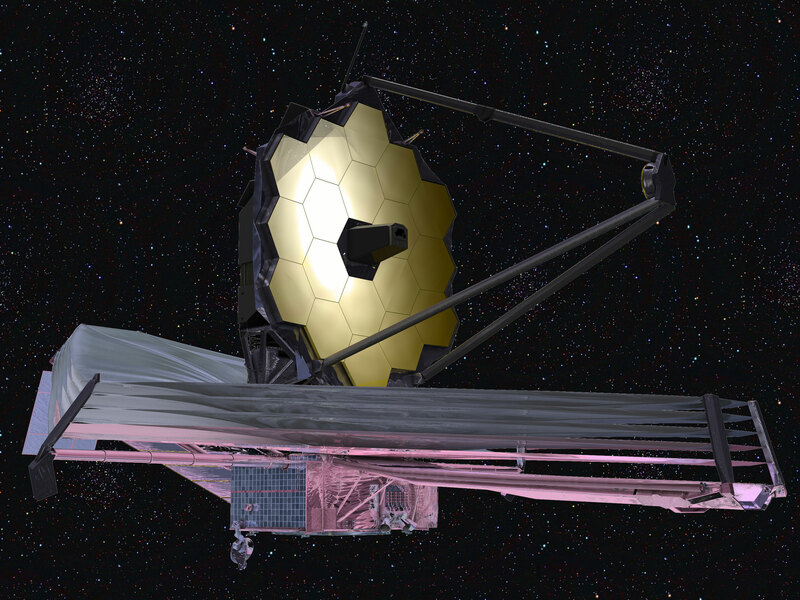 A rendering of the James Webb Space Telescope. Image credit: NASA. “Currently, the team is continuing their analyses with the goal of having a review of their findings, conclusions and plans for resuming vibration testing in January,” said Eric Smith, the program director for NASA’s James Webb Space Telescope. The James Webb Space Telescope or JSWT has been under development for the last two decades. In November 2016, the telescope’s optics were completed as it was announced by NASA. There are a lot of rigorous tests to go before the James Webb is ready to go into space. These tests include acoustic and vibrational tests to simulate the conditions that the telescope will experience once it is launched on the Ariane 5 rocket. The rocket is expected to be launched in less than two years. Once the vibration and acoustic tests are completed, the telescope will be taken to Houston, where it will go through cryogenic testing. The James Webb Space Telescope is being built up to work 1 million miles away from Earth at really cold temperatures of -370 degrees Fahrenheit (-225 degrees Celsius). NASA needs to make sure that everything is working perfectly to resist such conditions. Once the cryogenic tests are done, the telescope will be headed to California where there is its sun-shield. The sun shield is made of thin layers of a material called “kapton” which aims to keep the telescope safe from the Sun’s heat. After all the testing ends, the spacecraft will be taken to French Guiana where it will be launched in 2018. During a vibration test on December 3, the accelerometers attached to the telescope had an abnormal response, which made NASA shut down the procedure for the rest of December. The engineers have been trying to understand why JWST didn’t perform as they expected. NASA said that they are close to figuring out what happened in December and they will resume testing in January. Since the incident, NASA has been able to do three low-level vibration tests, and all of them were successful. The agency said that despite the incident, the telescope looks in good conditions. As well, an ultrasonic exam shows that the structure is perfectly fine. “This is why we test — to know how things really are, as opposed to how we think they are,” Paul Geithner, deputy project manager for JWST at NASA, said in a statement.